Disclosure: I was compensated for my work with Land O’Lakes, but all opinions are my own. Pinterest is an excellent source of recipe inspiration and is, in fact, my first stop when I’m looking for delicious meals to feed to my family. Even my mom has recently joined Pinterest and has been making many of the recipes from her boards. It’s nice because we can send each other pins and talk about the recipes we find. Today I wanted to share how you can find meal ideas for your family and fight hunger at the same. Think of it as pinning for a good cause! 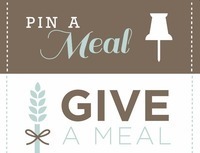 Land O’Lakes has partnered with Feeding America to launch the Pin a Meal, Give a Meal campaign to fight hunger in America. Did you know that one in six people are living at risk of hunger in the USA? That’s a staggering statistic, but there are ways you can help make a positive impact with this new initiative! From now through May 31st, 2014, pin or re-pin any Land O’Lakes recipe and Land O’Lakes will donate 9 meals to Feeding America for every pin! That works out to be $1 per pin being donated to Feeding America. Their goal is 2.7 million meals. I think that is definitely doable with our help! Not only will you be feeding families, but your help will also ripple down to other areas of their lives. You’ll also be helping them live full and active lives and perform better at work or school. Food is a necessity to live and this program will have a positive effect on the future of so many people. Pinning (or re-pinning) only takes a second to do. Just visit Land O’Lakes and find a recipe you like and pin it to one of your boards. There’s no shortage of recipes to choose from and I’m sure you’ll be able to find one, two or more that will appeal to you and your family. Pinterest is free, easy and fun so I encourage you to join if you haven’t already. It’s the little things that make a big difference. I encourage you to pin a recipe and help to change a life. $1 helps provide 9 meals* secured by Feeding America* on behalf of local member food banks. The Land O’Lakes Foundation guarantees a minimum of 2.7 million meals* (monetary equivalent of $300,000.00) to Feeding America and member food banks from March 28th through May 31st, 2014. 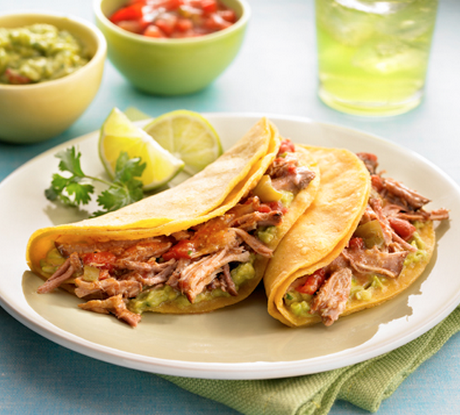 Connect with Land O’Lakes on Pinterest, Facebook and Twitter. This post is sponsored by Land O’Lakes, but all opinions are my own.